In Sunday's episode of Robot Chicken, I return as an animator for the first time since 2006! Good to be back. Photo courtesy of Stoopid Buddy Stoodios's Facebook stream. 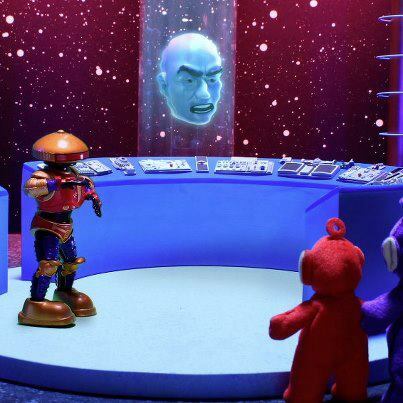 In the above scene, I worked on a bunch of the shots of Zordon's head. After finishing up on last year's Spy vs. Spy and Dinosaur Office, I was brought on to Robot Chicken for a couple of episodes at the end of the season. Getting to play with animate some of the toys I remember from my childhood was really great.